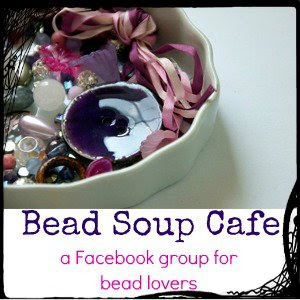 Rdegas: 8th Bead Soup Blog Hop!!! I love the little butterfly earrings, really pretty! Very lovely pieces. I can see why your daughters are fighting over them ;-) You had wonderful ingredients and made wonderful soup! I love all your pieces Roanna ...freat to see my ceramic focal in such a gorgeous bracelet and those earrings are just so cute. very nice work. Oh, I just love your bracelet! I love all your designs! Happy Hopping! I love Patty's taste, so it's no surprise I love the soup she sent! And you totally rocked it all. 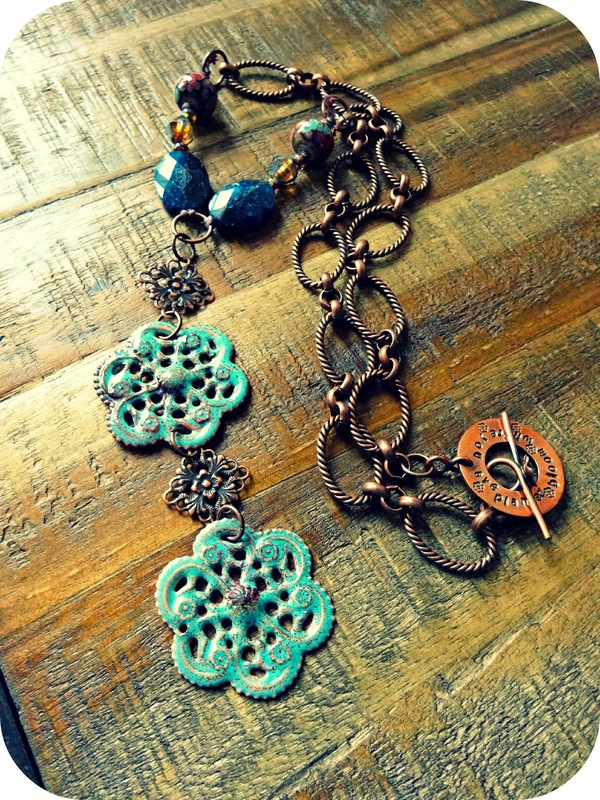 I'm particularly fond of the bracelet with the Thea Elements piece! And you just have great color and texture ingrained in you. Such excellent, inspiring work! Glorious soup and you did such a beautiful job with it all !! 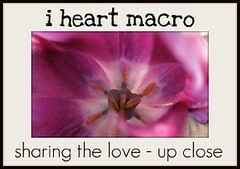 I love how you worked with the focal!! no wonder your girls are squabbling over your creations! I hope that you get a chance to wear them!!! I want to join the fight with your daughters for those earrings. They are SO cute!! And love the bracelet too...luscious! understand they fight over them :-) !! 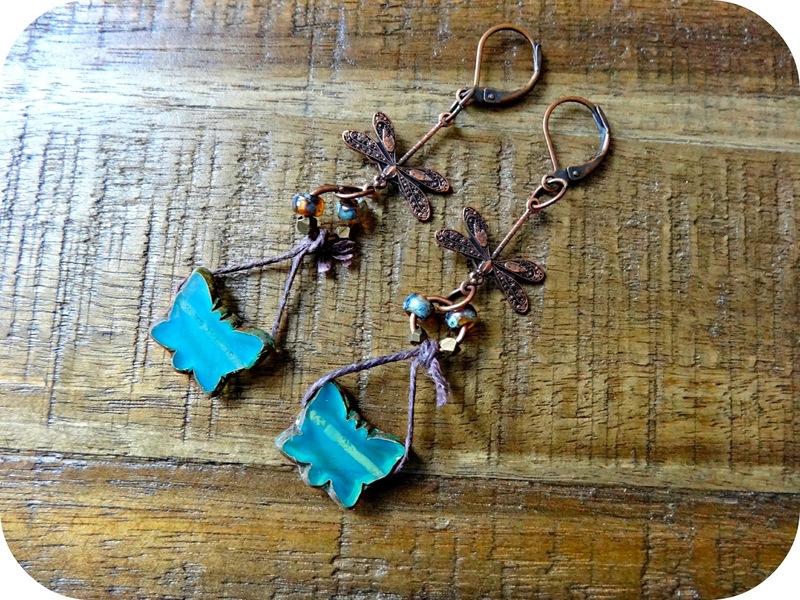 all pieces are great, earrings with dragonfly are my fav! I love your style, and all three of your creations! But I am in love with those earrings!! I can See why your daughters are fighting over these gorgeous pieces. I really love the butterfly earrings. That first bracelet is so beautifully put together, the colours are beautiful and that gorgeous focal is there to be admired. Perfect! 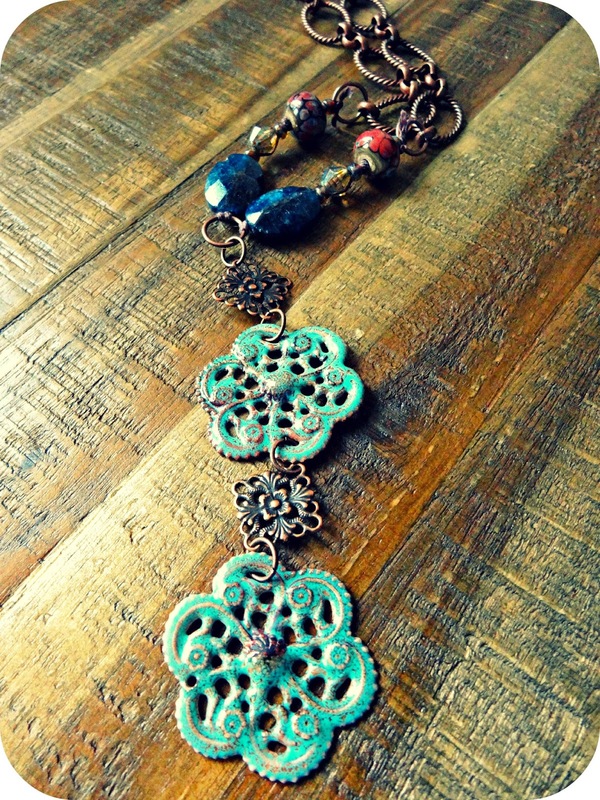 Your necklace with the filigree focals is my favourate. 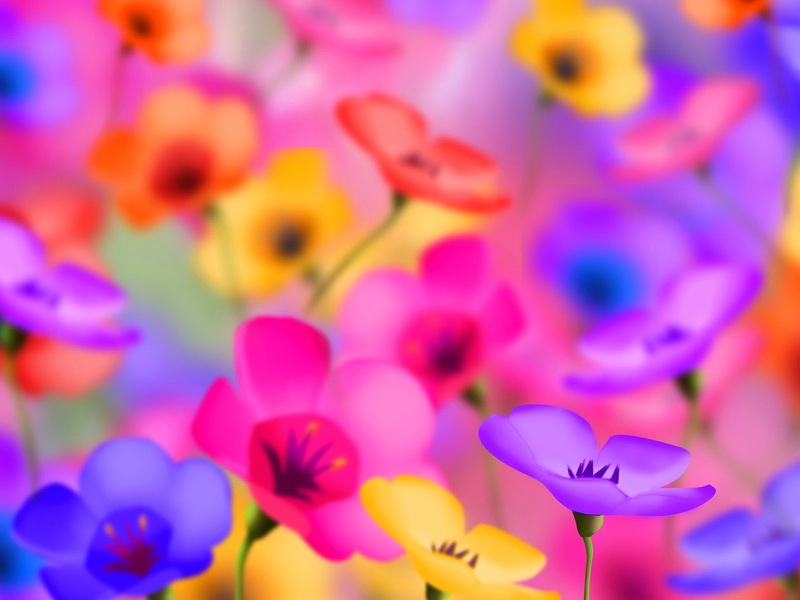 Ooh it is such beautiful colours and textures. 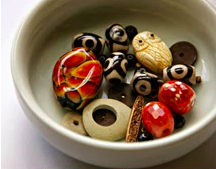 All of your pieces are great. I especially love that first bracelet. It looks so wearable and would be fun to wear. Lovely cooking, Rossana! 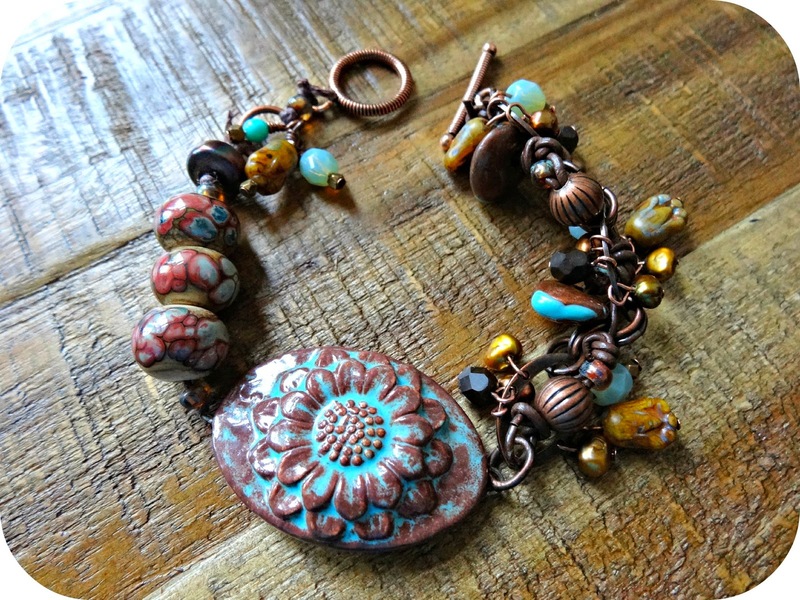 Love the bracelet espesially - the colors and different materials went so well together! Your daughters have great taste!! Your designs are fantastic!! Great designs, all of them. Especially I love the bracelet. I can understand your daughter too. Your designs all look great! If I had to pick a favorite it would be the bracelet. I like how all the dangly bits balance out the pretty (and sizable) focal. Nicely done, all of it! Love your pieces!!! My favorite is the bracelet, but also love the earrings and the necklace! Beautiful set! Gorgeous designs. 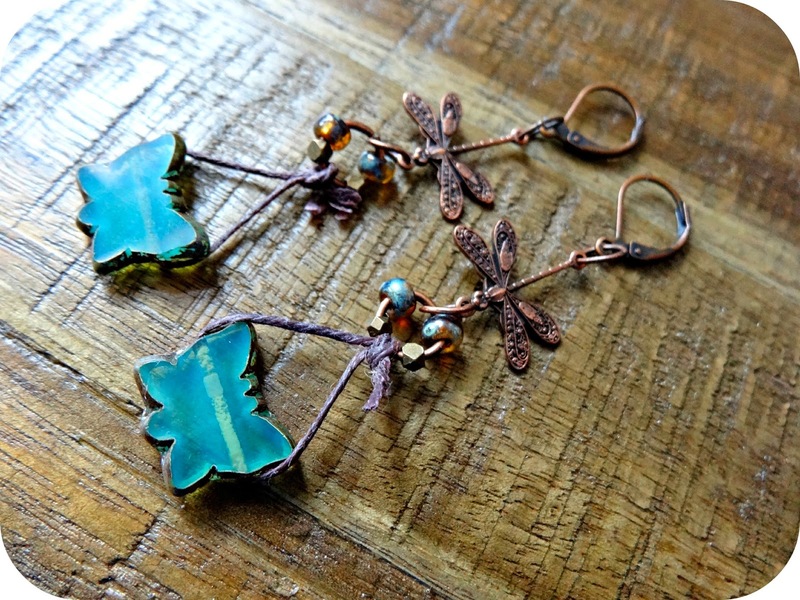 The butterfly & dragonfly earrings are lovely. The bracelet and necklace are divine. And I can see why your daughters would fight over these. 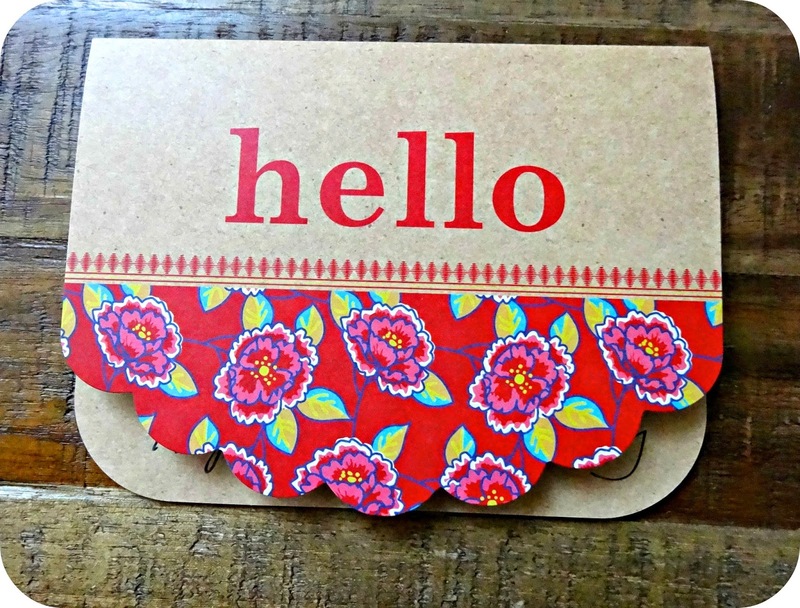 I found myself humming while I was looking at your designs - the colors and the designs make me happy. Like I would see those colors on a hike in the woods tomorrow. Lovely. Natural-feeling. Beautiful pieces, indeed! I love the bracelet and how you balanced each side, even though both were very different materials. LOVE IT! 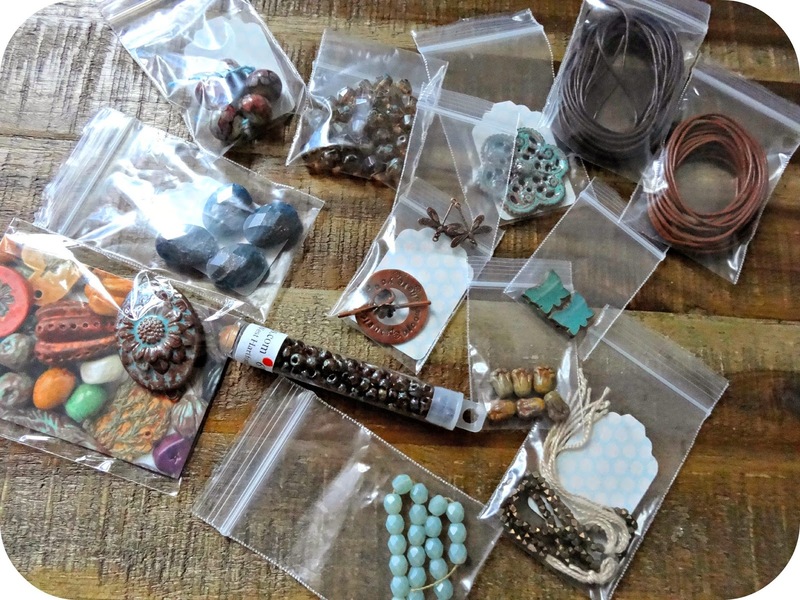 All of the pieces are gorgeous...My favorite is the first piece...The bracelet. AWESOME!!! OMG all three pieces are absolutely stunning, The bracelet is my absolute favorite but it would be so cool to wear the whole set. Patty's such a great partner isn't she? And, you did an amazing job with the soup she sent you. That bracelet is phenomenal and the rest of the pieces are also really stunning. Lovely job. Love love love! 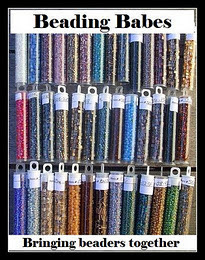 Gorgeous asymmetrical bracelet with all those beautiful beads, cute butterfly beads cleverly hung by waxed linen, and the necklace with a design the showcases all the beads beautifully. You are one talented lady!! 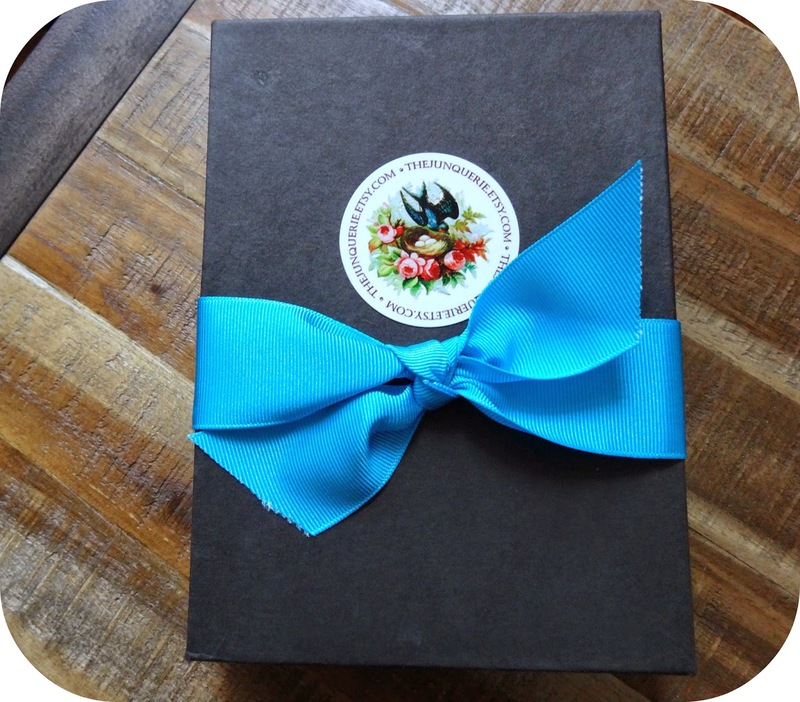 Your jewelry is gorgeous! 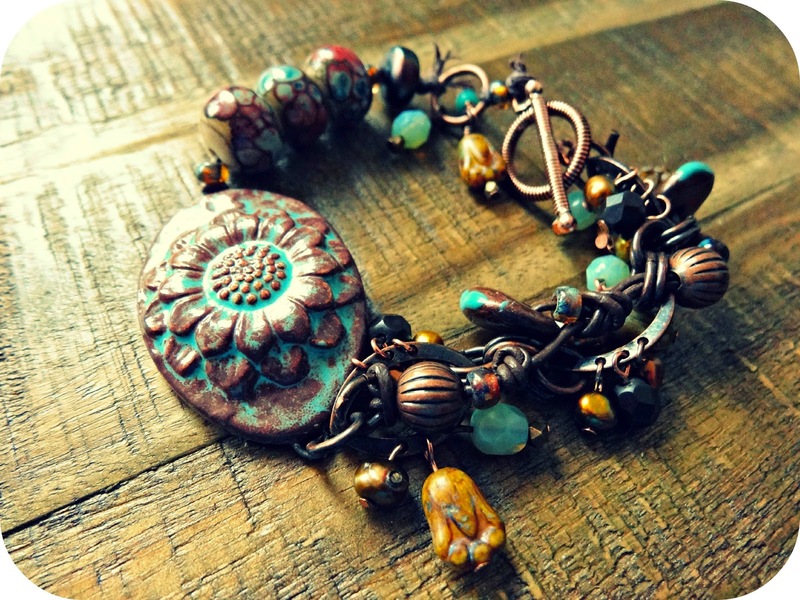 Especially the bracelet with the pretty flower focal. Great soup! Easy to see why your daughter loves your work! All your creations are pretty unique. The bracelet is my personal favorite - such a great collection of beads and arrangement and I also like how you attached the butterflies to the earrings and used both focal in the necklace!